With Easter just around the corner, it’s pretty easy to get everybody excited about the upcoming chocolate eggs galore. But before the cream eggs mysteriously disappear (it’s always the person you’d least expect), and the kids head back to school, it’s important to spend a bit of family time – and get a date in the diary which the whole family can look forward to. 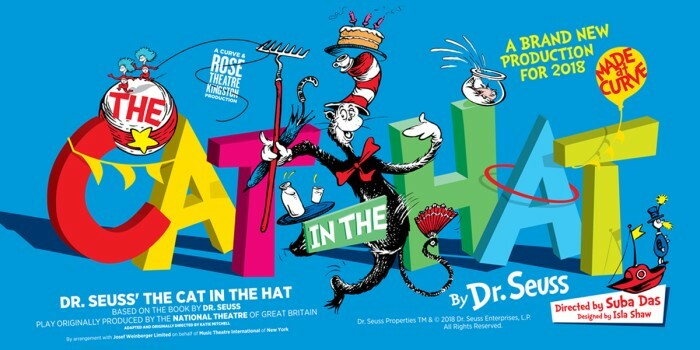 So why not getting planning a family theatre trip to London’s Theatreland for the months to come? Here are family shows for 2019 which we’re sure will get the whole crew buzzing in anticipation (at least until homework time). And don’t forget about Kids Week in August! Don't worry, we've devised the perfect way of escaping those April showers: see some theatre! Here are all the new shows to see this month. Who doesn’t love all things Dr. Seuss? Wacky characters, glorious colours, infectious rhymes – and those can just be found on the front covers of his books. And it’s beyond question that The Cat In The Hat, the family-friendly tale of feline frivolity, is a classic Seussian explosion of madcap hilarity and mischievous invention. This stage version captures that perfectly, telling the story of what happens when a cat tries to rescue two siblings from the dullness of a rainy day – but ends up turning their lives upside down! It’s a riot! There are few sights sweeter to the eye than a well-executed ballet, but it’s not an art form always associated with family-friendly entertainment. My First Ballet are out to change that misconception with several tweaks which help little ones get the most out of the show, too. 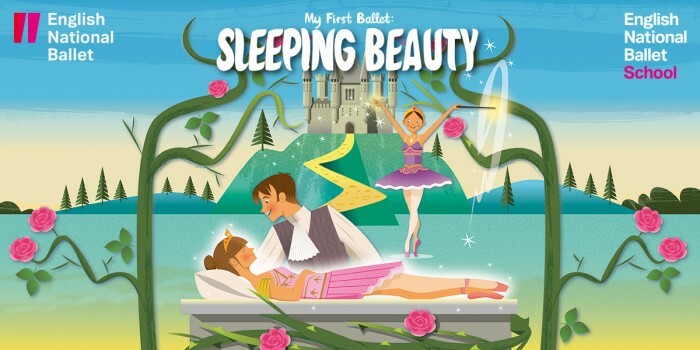 Sleeping Beauty will feature a narrator especially for young audience members, as well as shortened versions of Tchaikovsky’s iconic music. What’s more, the popular story will be told by second-year students of the English National Ballet School, guaranteeing a high-quality introduction to the world of ballet for all young ‘uns. Lots of us grew up surrounded by Beatrix Potter’s beloved characters and stories, from Mrs Tiggy-Winkle to Mr McGregor, Jemima Puddle-Duck and, of course, Peter Rabbit. And this new show at the Theatre Royal Haymarket is the perfect chance to return to that majestic world. Where Is Peter Rabbit? 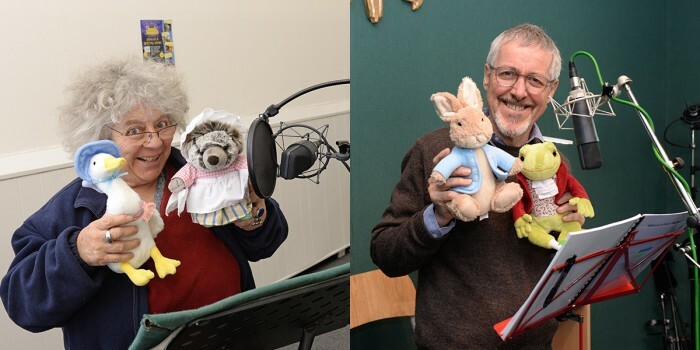 brings the Beatrix Potter stories to life through beautiful puppetry, delightful original songs, a sprinkle of magic – and the voices of Miriam Margolyes and Griff Rhys Jones. The show has enjoyed acclaimed runs elsewhere in the UK, and now arrives for young and old alike in London to cherish and enjoy. Book Where Is Peter Rabbit tickets? Here’s a family show to get every generation dreaming again! 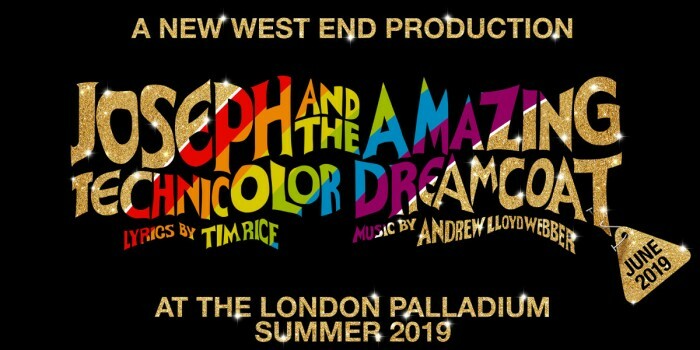 Andrew Lloyd Webber’s classic musical Joseph And The Amazing Technicolor Dreamcoat is coming to the majesty of the London Palladium for a 50th anniversary production this summer – and you can be sure it’ll be packed out by young ones experiencing the delightful show for the first time, as well as those returning to it for another bout of joy. Telling the well-known story of Jacob and his favourite son, Joseph, this multi-coloured masterpiece is a great introduction to musical theatre for young families – provided you can stop the parents from joining in with “Any Dream Will Do”, that is! Songs, laughs, and monstrous fun – the West End treat that is The Gruffalo promises an hour of pure delight for all ages. We hope you’ve packed your map, boots and explorer’s hat – because adventure is calling. 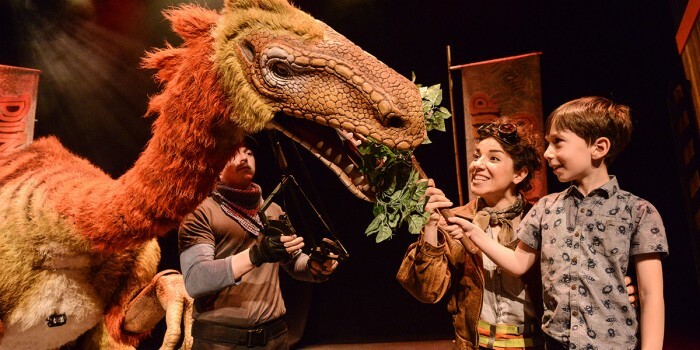 Dinosaur World Live will get the whole family delving into the jurassic in an action-packed showcase of jaw-dropping dinosaurs. From the Triceratops to the Giraffatitan, the Microraptor to the Segnosaurus – oh, and did somebody say “T-Rex”? – you’ll get the chance to learn plenty about the dinosaurs… before meeting the remarkably life-like creations in person. It’s the family adventure of the summer! We all want to meet people from history. The trouble is everyone is dead! So luckily for us, Horrible Histories: Barmy Britain – Part Four is back in the West End this summer! 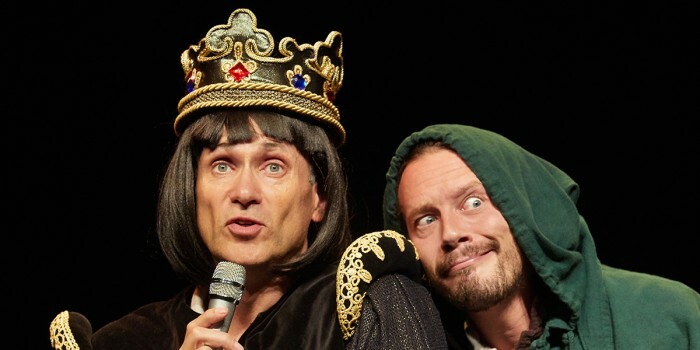 Horrible Histories’ stage shows have proven massive hits in Theatreland for eight years running now, and this latest edition sees audiences confronted by the ruthless Romans, a terribly-toothed Queen Elizabeth I, a headless man.. and more! History’s never been more gloriously horrible fun! Something Big is happening at the Dominion Theatre this autumn – and it’s starring The Wanted’s Jay McGuiness! The hit stage adaptation of the family favourite Tom Hanks film is on its way to the West End, telling the story of young Josh Baskin, who wishes he was Big – and suddenly is! Living and working in a grown-up well, his innocence and imagination transforms the world around him – with heart-warming moments and plenty of laughs along the way! 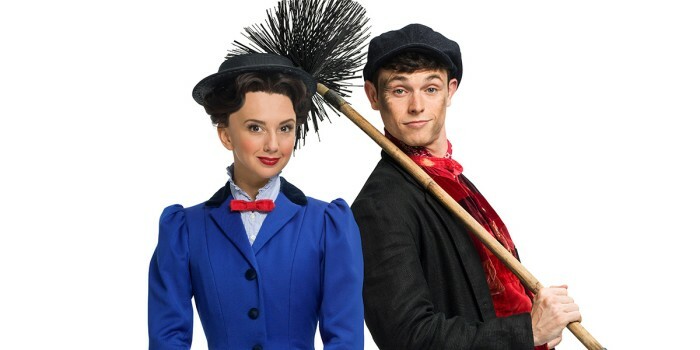 Practically perfect in every way, Mary Poppins is the stage musical based on the classic family film of the same name. The story of a remarkable Nanny, who restores order to the dysfunctional Banks family, is packed with unforgettable songs, eye-popping scenery and magical moments which’ll have parents and children’s jaws dropping throughout. As sweet as a Spoonful Of Sugar, and as fun as a Jolly Holiday, this internationally award-winning musical is truly unmissable. You’ll be hooked quicker than you can say “supercalifragilisticexpialidocious”! 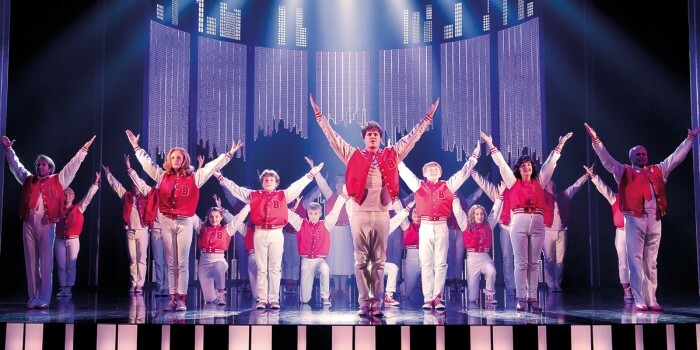 Of course, there are a whole host of spectacular family-friendly plays and musicals on offer the whole year round. From the awe-inspiring visuals of Agrabah in Disney’s Aladdin, to the majesty of the Serengeti in Disney’s The Lion King; from the guitar-thrashing rebellion that is School Of Rock The Musical, to the hilariously mischievous Matilda The Musical; and from the ABBA-hit-fuelled Mamma Mia!, to the suitable-for-all murder mystery of Agatha Christie’s The Mousetrap, world-class family theatre is on offer every way you turn in Theatreland. There are plenty more family-friendly shows around in 2019. To find out more, visit our London Theatre Tickets page.